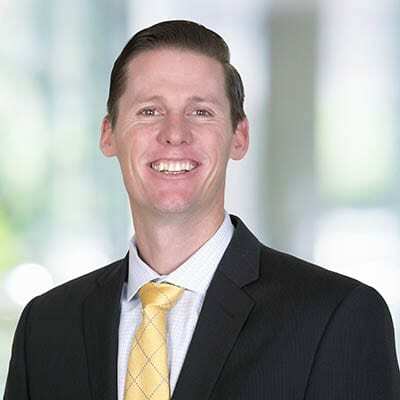 Kyle P. Carroll is a Partner with Bremer Whyte Brown & O’Meara, LLP and focuses his practice on civil general liability defense, with an emphasis in the outdoor, transportation, trucking, and real estate. Mr. Carroll has extensive experience in all aspects of litigation, and places a strong emphasis on early case evaluation and dispute resolution. Based upon his aggressive yet amiable approach, he was named a Southern California Rising Star for 2015, 2016, and 2017 by Super Lawyers Magazine. Mr. Carroll is admitted to practice before all courts in the State of California and the United States District Court, Central District of California. Mr. Carroll is a member of the Orange County Bar Association. Mr. Carroll earned his Juris Doctorate from Chapman University School of Law in May 2008, with an emphasis in Environmental, Land Use, and Real Estate law. While at Chapman, Mr. Carroll co-founded the Land Resources Society and served as its Vice-President for two years. In 2007, Mr. Carroll worked with the Honorable Michael Hayes of the Orange County Superior Court, where he gained valuable exposure to the legal system. Mr. Carroll played four years of collegiate soccer, was named captain of the team during his 2002 and 2003 seasons, and was honored into the Hall of Fame in 2013. When he isn’t working, he enjoys spending time outdoors with his wife and son.